It finally feels like spring, and with spring comes some spring cleaning. Let Marie Kondo handle your closet with her KonMari method; for your skin, you’re going to need more than just a spark of joy (though I think turning over a new leaf, epidermically-speaking, will certainly spark joy and more). Follow these steps from my latest story for Glow Recipe. After the bone-chilling bite of a seemingly endless winter — not to mention holiday drinking, eating and partying — your skin is going to be the unfortunate reflector of all that stress and harsh weather. And while all we want to do is stay in and hunker down for a Netflix binge, sitting on the couch for a stretch or spending some extra time at our vanities may be exactly what we need to whip our skin back into shape. So turn off that phone, get your comfiest sweats on and get ready to do some spring cleaning — a little TLC now, and you’ll emerge glowing, just in time for spring break. After a hectic holiday schedule, chances are, you’ve had to take a bit of a detour from your regular skin care regimen. So start your spring cleaning by exfoliating dry, dead skin cells to give yourself a clean canvas to work with. 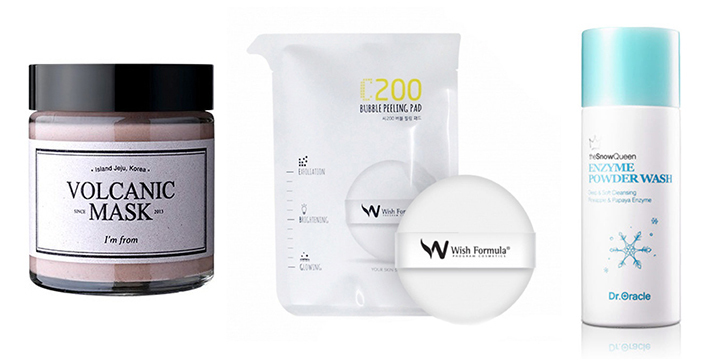 Avoid harsh (and environmentally harmful) microbeads and reach for gentle powder or chemical exfoliators, like Dr. Oracle The Snow Queen Enzyme Powder Wash, with its water-activated fruit enzyme powder; or Glow Recipe’s newest curation, Wish Formula Squish-and-Bubble Mesh Mask. It’s pretty much the easiest, gentlest peel you can do a couple times a week — just wet the little pad, squish to work up a lather, and buff the face for two to three minutes. If you’re really feeling lazy, you can still get your exfoliation on curled up on the couch. Just swab your face with the giant, easy-to-use cotton swab applicator of Yoon Dermaline Marine Aqua Peeler. Or if you want a two-fer, try DoYou 2-Step Milk Peeling Kit — first apply the alpha hydroxy acid-soy milk complex with the oversized swab, then hunker down for a soothing sheet mask session of green tea, chamomile and rosemary. Another great way to purge pores is with I’m From Volcanic Mask, which uses 8.6% volcanic clay from the lush environment of Jeju Island in South Korea. Like charcoal, volcanic clay acts as a magnet for dirt and oil, but it also infuses skin with vitamins and minerals, so skin is left purified and nourished. LJH Vita Propolis Ampoule. Photo courtesy of Glow Recipe. Now that your skin is ready to better absorb treatment, flush out skin-damaging free radicals — those pesky unstable molecules caused by seemingly everything from UV rays to pollution to stress — with a hearty dose of antioxidants. Start using an ampoule, which is a supercharged version of a serum, meant to speed up results for when skin needs that extra push. I can’t rave enough about LJH Vita Propolis Ampoule, which basically does everything but wash the dishes — it gives me a massive dose of antioxidants (50% propolis, anyone? ), helps keep my hormonal acne at bay, decreases inflammation and minimizes the look of pores. Regardless of your skin type, after months of dry winter air (and indoor heating), you’ll want to amp up your hydration levels right around now. Thankfully, hydrated doesn’t have to mean oily or greasy. The lightweight texture of Earth’s Recipe Moisture Bound Cream belies a potent moisture magnet ingredient that is the tremella mushroom — just watch this video of the mushroom expanding in water. Tremella does the same thing for your skin, plumping it up and keeping it firm. If you want to go that extra mile for an extra boost of hydration — any time of day — pat on Blossom Jeju’s 100% Camellia Seed Dry Oil. It’s quickly absorbed, making it feel almost “dry,” and since you only need a few drops to benefit from its antioxidant-rich, hydration-packed formula, a little goes a long way. Because now that your skin is glowing, who couldn’t use some extra funds for a new spring wardrobe to match? 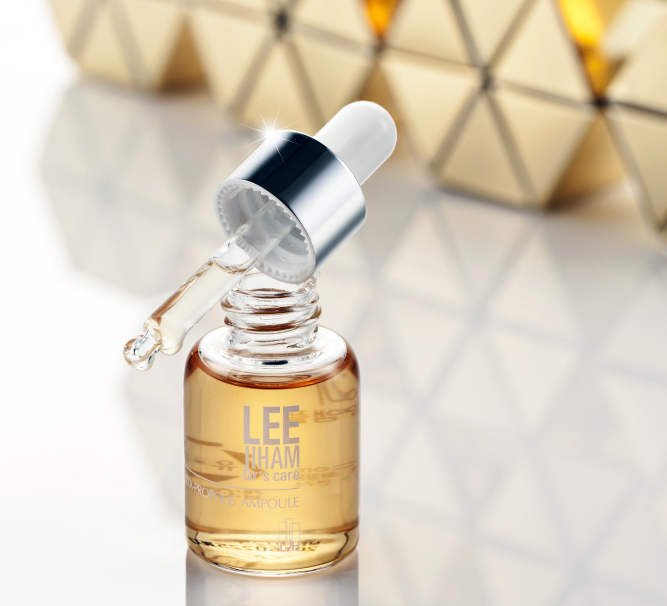 Wow, definitely LJH Vita Propolis Ampoule is a Must Try!